You are here: Home / What is Tu B’Shevat? Tu B’shevat gets its name from the date on which the holiday occurs, the 15th of the month of Shevat. A minor Jewish holiday, it is often referred to as the new year (or “birthday”) of the trees. The holiday originated in the Talmud, and was based on the date chosen for calculating the agricultural cycle of taking tithes from the produce of the trees, which were brought as first-fruit offerings to the Temple in Jerusalem. How is Tu B’shevat celebrated? The holiday of Tu B’shevat fell out of practice after the destruction of the Second Temple, but was revived by kabbalists in the Middle Ages. They instituted the practice of the Tu B’shevat seder, a meal that partly mirrors the Passover seder and involves eating biblical foods native to the Holy Land and drinking four cups of wine. 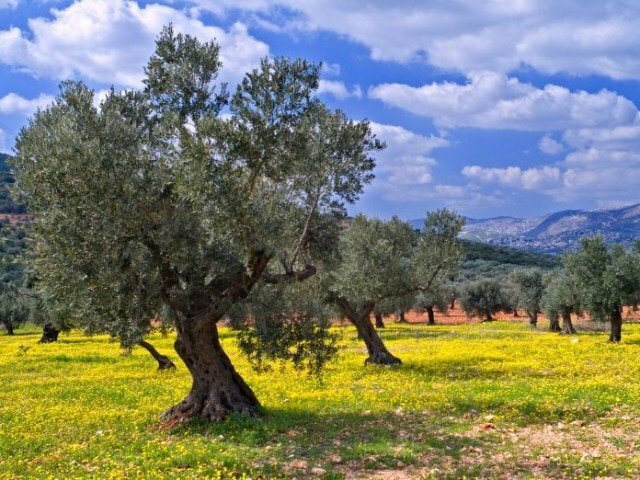 Tu B’shevat has developed into an ecological holiday that reminds Jews of our connection to the earth and to our role as caretakers of the environment. Some modern practices include donating money to plant trees in Israel or planting trees locally. The kabbalistic Tu B’shevat seder has also been reclaimed. What kinds of foods are eaten on Tu B’shevat? As part of the Tu B’shevat seder it is customary to eat from shiv’at ha’minim (seven species endemic to the Land of Israel): wheat, barley, grapes, figs, pomegranates, olives, dates. Beyond that, there are many possible variations for preparing a Tu B’shevat meal, usually incorporating dried fruit and nuts, and one can be creative in deciding how to plan the menu. What is the proper greeting for Tu B’shevat? There is no official greeting for the holiday. The standard “Chag Sameach!” (Happy Holiday) may be said. As its name in Hebrew suggests, Tu B’shevat occurs on the 15th of Shevat.